Writer/artist Jeremy Haun (Constantine, Batwoman) and co-writer Jason A. Hurley will launch a new story arc in their ongoing high-concept procedural series this May. Previously in THE BEAUTY, a unique sexually-transmitted disease spread across the world, in no small part due to the fact that it produced highly desirable results. When detectives Vaughn and Foster stumbled upon a vast conspiracy concerning the nature and origin of this disease, they just uncovered more questions. In THE BEAUTY #7, think that a criminal wouldn’t be all that affected by The Beauty outbreak? Well, you haven’t met Timo yet. He’ll prove you dead wrong. "The Beauty is a morality play," said Haun. "We’re examining the lengths we, as a society, go to in order to look good. And let’s be honest: as a society, we’re a mess." "Our next story arc will deal with a different set of characters at an earlier time in the life of the disease," added Hurley. "The story is more about the people dealing with the situation they’re in rather than about how the situation came to be." 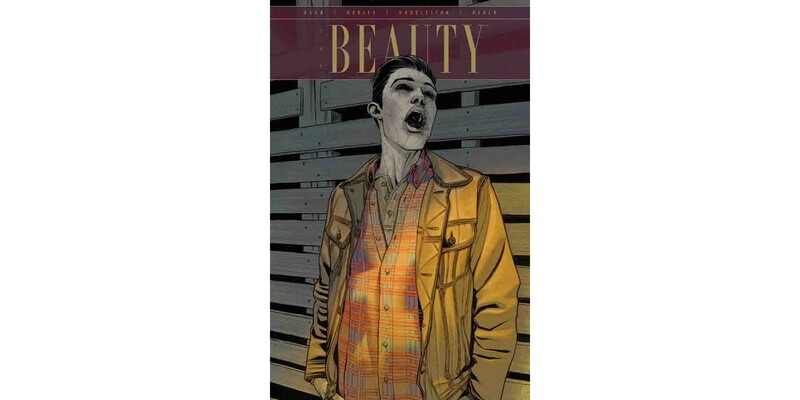 THE BEAUTY #7 Cover A by Jeremy Haun (Diamond code: MAR160514) hits stores Wednesday, May 18th. THE BEAUTY #7 Cover B by Brett Weldele (Diamond code: MAR160515) will also be available Wednesday, May 18th. Final order cutoff deadline for retailers is Monday, April 29th.